An ideal penthouse of your dreams would have the best view of trees and the cityscape as well as being luxurious and opulent with all the amenities and much more. 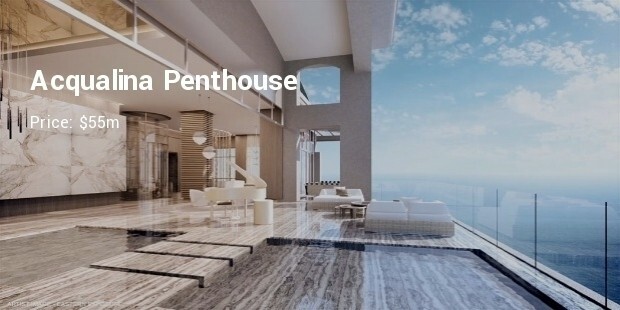 Talking about penthouses the US ranks highest in having the most number of luxurious and highly expensive penthouses from across the world. These penthouses are for the super-luxurious as the price tag runs into millions of dollars for the top ones. 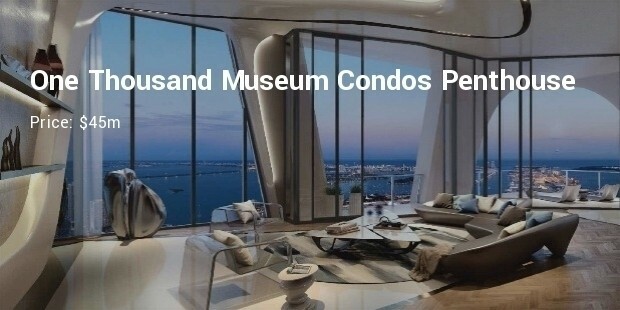 Let us have a look at the top ten most expensive penthouses in the US. 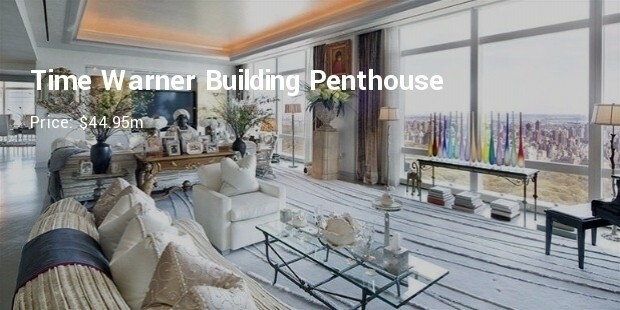 This elegant and super-luxurious penthouse in New York has a staggering $125m price tag attached to it. There are $1m statues inside it and a Swedish sauna worth around $1.5m. 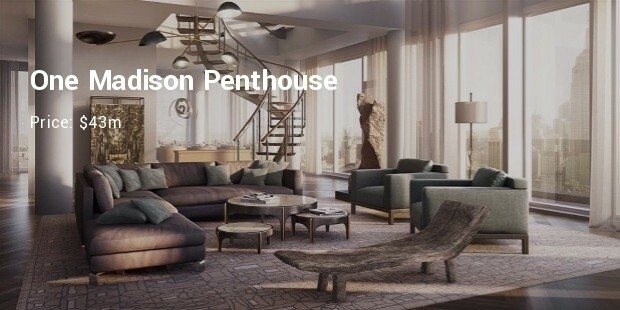 Designed in the 17th and 18th century the apartment has exquisitely arched cathedral windows and fireplaces in the 3-storey tall penthouse and offers a panoramic view of Central Park, Manhattan and both the rivers – Hudson and East. 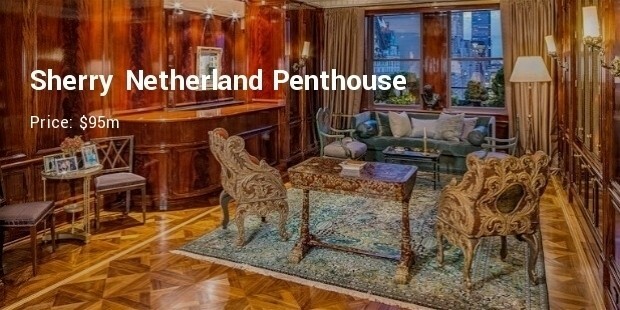 Situated in the Sherry Netherland complex in New York the $95m penthouse has a private library and a terrace-view of the Central Park. Festooned with creative touches in the interior and décor this apartment seems to appeal to an artistic person more. 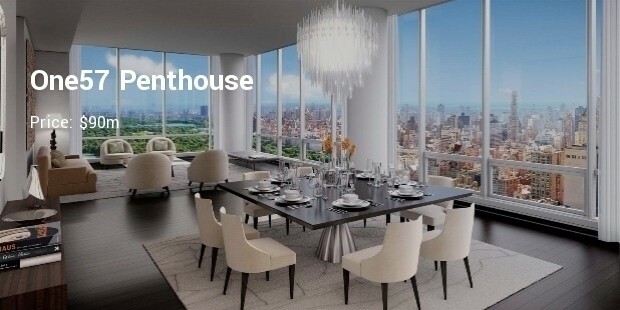 Spanning the whole of the top floor of the One57 Hotel in New York, this penthouse is rightly priced at $90m. This penthouse provides one of the best views of Midtown Manhattan and is in the largest building in the neighborhood. This penthouse and the hotel has won several awards for its unique design. 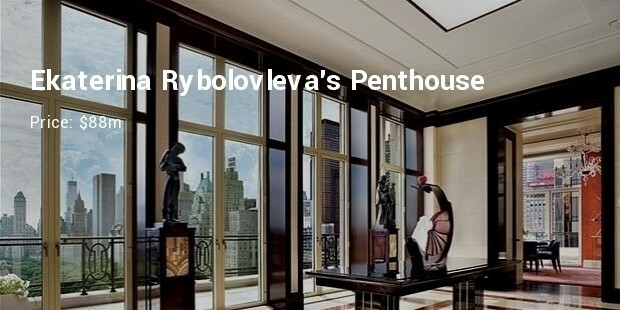 Owned by the Russian millionaires Ekaterina Rybolovleva, this penthouse is spread over a massive 6,700 square feet of New York’s most prime estate. Filled with contemporary art and subtle interior colors this penthouse reflects classiness at a whole different level. 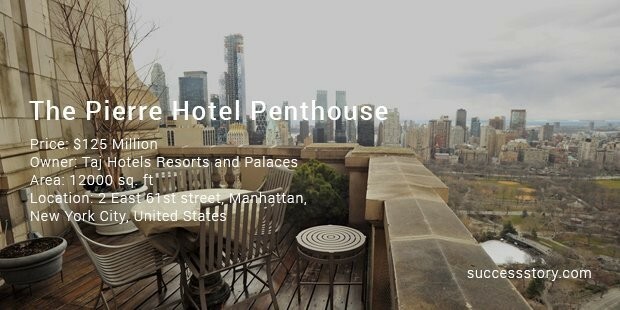 Real estate markets are rife today with so many billionaires and the ultra-rich looking for a penthouse, especially in New York with a view of the famous Central Park and Manhattan area. 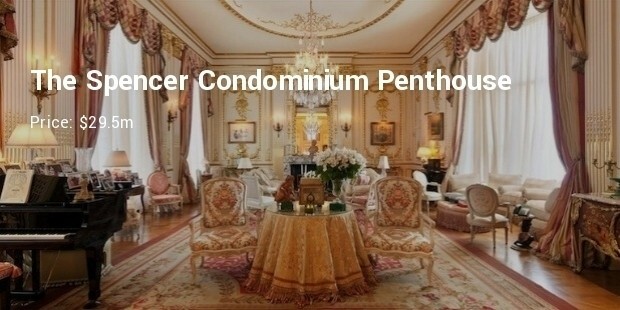 If you wish to own one of these showy and opulent penthouses be ready to fork over millions to the real estate dealer.